US futures are pointing to a lower open today after ending mixed on Friday. 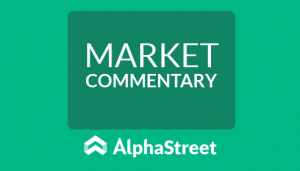 Investors remained concerned on the recent tariffs change made by President Donald Trump. Also, traders assessed the potential for instability in Italy. The S&P futures slipped 0.28% to 2,682.75, Dow futures declined 0.26% to 24,470 and Nasdaq dropped 0.02% to 6,803.50. Elsewhere, shares at Asian markets closed mostly higher on Monday, while European stocks are trading higher. On the European economic front, data from IHS Markit showed that the Eurozone composite output index for private sector fell to 57.1 in February from 58.8 in January. Sentix data showed that Eurozone investor sentiment index declined to 24 in March from 31.9 in February. Data from Eurostat revealed that retail trade volume slid by 0.1% on month in January, after a 1% drop in December. IHS Markit data revealed that services sector in the UK rose to 54.5 in February from 53 in January. Another IHS Markit data showed that Italy’s services purchasing managers’ index fell to 55 in February from 57.7 in January. Spain’s services activity growth accelerated to 57.3 in February from 56.9 in January. On the Asian economic front, data from IHS Markit showed that India’s private sector output index fell to 49.7 in February from 52.5 in January. China maintained its 6.5% growth target for 2018, with the government setting the budget deficit target of 2.6% of GDP for 2018 and the consumer prices expected to rise around 3%. 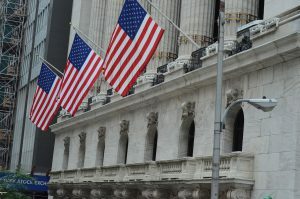 On February 26, US ended mixed, with Dow down 0.3% to 24,538.06. However, Nasdaq ended up 1.1% to 7,257.87, and the S&P 500 gained 0.5% to 2,691.25. Investors remained concerned on the impact of President Donald Trump’s new tariffs plan of 25% on steel imports and 10% on aluminum. Meanwhile, key economic data that will be released today include Markit Economics’ PMI services index, Institute of Supply Management’s non-manufacturing index, and TD Ameritrade’s investor movement index. The Federal Reserve Vice Chairman Randal Quarles will be speaking at the Institute of International Bankers Annual Washington Conference. XL Group stock jumped 30.95% in the premarket after it agreed to be acquired by AXA SA for $15.3 billion. On the corporate front, XL Group stock jumped 30.95% in the premarket after it agreed to be acquired by AXA SA for $15.3 billion. Groupon stock rose 1.64% in the premarket after brokerage firm Morgan Stanley upgraded the company to equal weight from underweight. Shares of Corindus Vascular Robotics climbed 13.33% in premarket after it got FDA clearance for automated robotic movement in technIQ Series for CorPath GRX platform. On the earnings front, Vericel, Nautilus, Ascena Retail Group, ArQule, and Analogic Corp. are the key companies due to release their earnings today. Crude oil futures is up 0.18% to $61.36. Gold is trading up 0.05% to $1,324 and silver is up 0.237% to $16.505. On the currency front, the US dollar is trading down 0.05% at 105.667 yen. Against the euro, the dollar is down 0.18% to $1.2296. Against the pound, the dollar is up 0.09% to $1.3812.